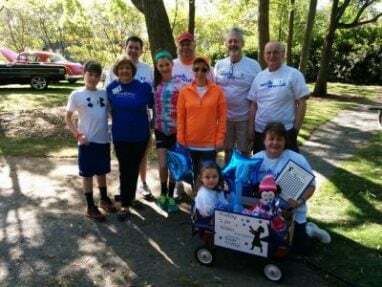 The Walk For Wishes Rock Hill on April 25 at Cherry Park is a community-wide fundraising effort to benefit Make-A-Wish South Carolina, as well as a celebration to grant the wishes of local children facing critical illnesses. The walk starts at 10 a.m. with check-in at 9 a.m. and the opening ceremonies beginning at 9:45. The walk is a 5K, family-friendly event where you can walk as an individual, family or team to raise money for Make-A-Wish South Carolina. Forming a corporate or community walk team is easy and is guaranteed to be a fun and rewarding experience for your company or civic group. Gather your family for a fun-filled way to help the Make-A-Wish mission in the local community. The event is great for walkers of any age: Strollers, wheelchairs and wagons are all welcome! Participants can fundraise for Make-A-Wish by using innovative online fundraising tools to manage their donations, as well as asking friends and family for their support. Make-A-Wish South Carolina granted 156 wishes last year, the most ever in the chapter’s 30-year history and has never turned a qualified child away – which makes events like Walk For Wishes all the more important. There is no cost to register for the event, and if you raise more than $100, you’ll get a commemorative Walk For Wishes t-shirt. You can register online, as well as make a donation to support the event or an individual walker if you aren’t able to attend. If you want to sponsor the event, there are several opportunities. 2015 Walk For Wishes Rock Hill Sponsorship Opportunities include: Presenting for $10,000; Star Of Joy for $2,500; and Star of Hope for $500. For sponsorship information, e-mail Maggie Nash or call her at 864-250-0702, ext. 109. For the first time ever, Make-A-Wish South Carolina is having a Kick-Off Party for the annual Walk For Wishes! The Kick-Off is on Thursday, March 19, at 6 p.m. at the Fort Mill YMCA. The party will allow participants to register for the walk, meet other team captains, and get fundraising tips and materials. There will be complimentary snacks and drinks, as well as fun games and activities for the kids to enjoy. There will even be a special surprise guest for you to meet! RSVP for the Kick-Off Party if you’re interested in attending. There are ways you can help Make-A-Wish South Carolina, without going to the Walk For Wishes. One way is to donate airline miles to help send Wish Kids and their families on their wish trips. Another way is to donate an unwanted vehicle to Wheels For Wishes benefiting Make-A-Wish South Carolina. Donating a vehicle helps kids in Columbia, Charleston and throughout the Palmetto State. But it also saves you time and money that you would otherwise spend on getting rid of an unwanted vehicle. That unwanted vehicle will be transformed into a wish for a local child and gives you a great tax deduction at the same time. Wheels For Wishes is an IRS-registered 501(c)(3) nonprofit organization, and your donation is 100 percent tax deductible. Your car can make a wish come true!